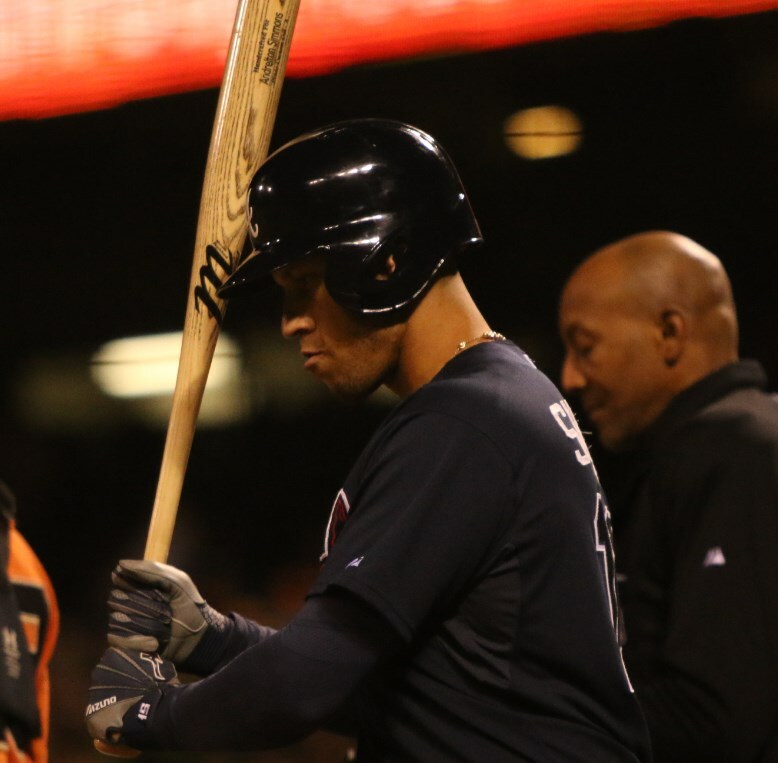 Simmons can’t kick the Marucci habit, swinging former teammate, Martin Prado’s models. 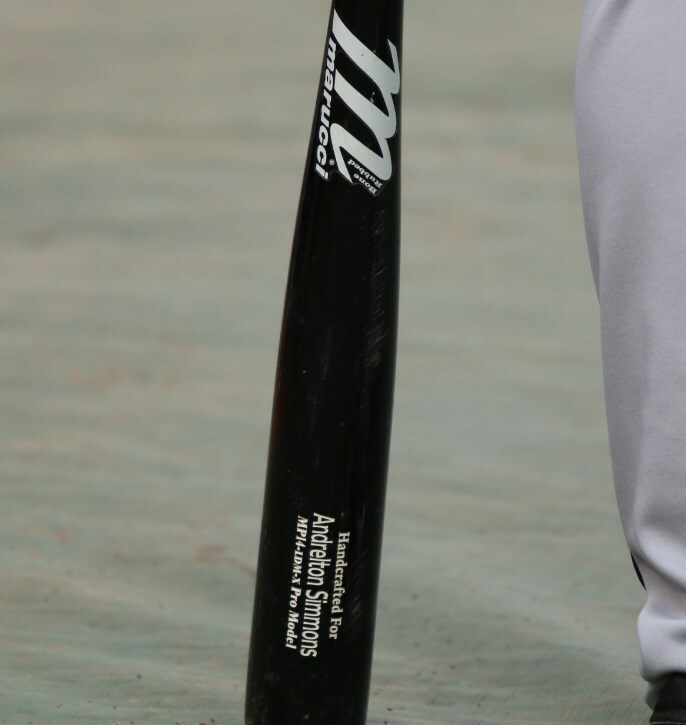 In-game we saw him with an Ash version, and Simmons used Maple for BP. The Prado model isn’t available online. Categories: Gear, Bat, Shortstop, Atlanta Braves, Andrelton Simmons.